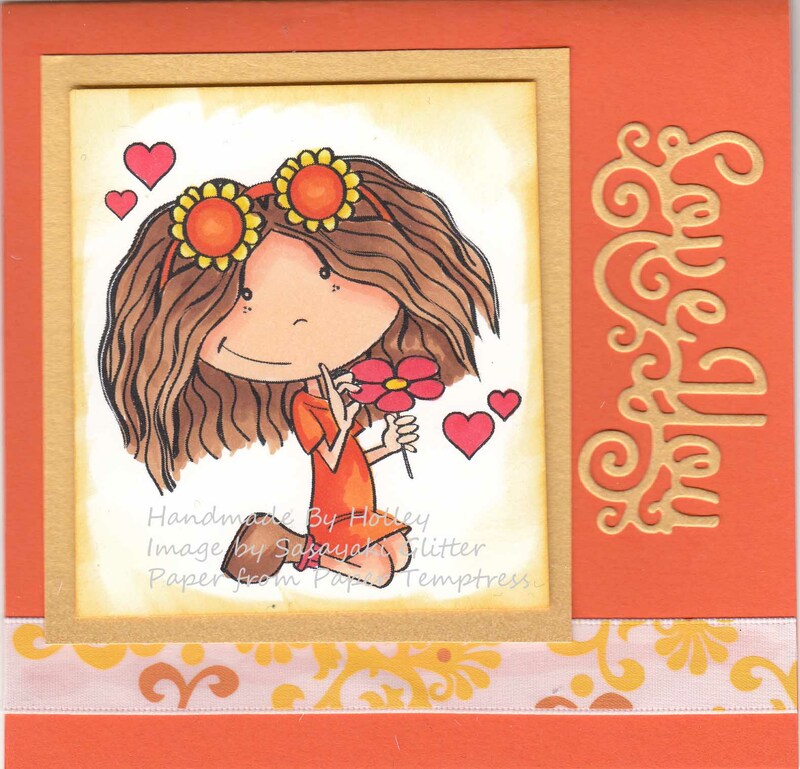 Here’s a wonderful combination of papers from Paper Temptress with an image from Sasayaki Glitter. This image is found in their facebook group and is the current image used in the Progressive challenge. She looks like she going to pull the petals to “Loves me, Loves me not.” The papers used come in the Spring Premium Package from Paper Temptress. Be sure and check out the wonderful Spring Premium Package, this months current special is FREE SHIPPING for the Spring Premium pkg. 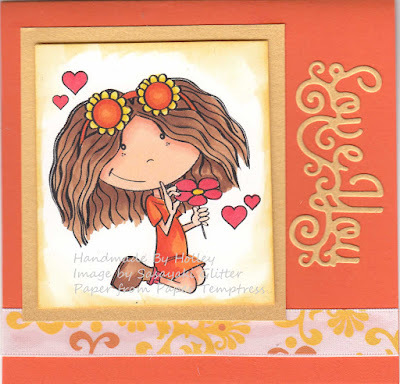 The papers I am using are Cryogen white to print my image on; Gorgeous Gold Mica/Metallic as a base of my image, as well as the Love you die cut; and beautiful orange called Mango Sorbet.